A recently leaked email from Laurent Tapie (courtesy of DiamondFlushPoker.com, link below) reveals his last minute attempts to salvage his dream of running an online poker room. As the email indicates, Tapie wanted to run an online poker room really, really bad, but that dream ended up getting crushed by the US Department of Justice. The DoJ would reportedly only sign off on Groupe Bernard Tapie's proposed acquisition of Full Tilt Poker if the investment group agreed to repay 100% of the money owed to ROW (Rest of World) players within 90 days. GBT argued that this "made the deal unworkable", and the negotiations between the two sides were terminated. Laurent Tapie and Groupe Bernard Tapie worked for seven months to try and close the deal, and presumably spent millions and millions of dollars on lawyer fees and other expenses. It's no surprise then that Laurent Tapie was bitterly disappointed when the negotiations were terminated, and it's also no surprise that he tried to find an alternative method of keeping his dreams of running an online poker room alive. 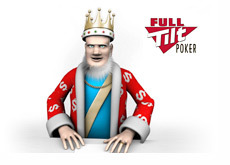 According to the email, Tapie first tried to "license the assets" of Full Tilt Poker on a temporary basis, "in order to relaunch the site, preserve the value of the assets and participate in an eventual auction as a bidder in the future." The DoJ rejected this proposal and the negotiations between the two sides were officially terminated as of that point. After the DoJ's rejection, Laurent Tapie took the even bolder step of suggesting that a new online poker room should be built from the ground up. According to the email, Tapie wanted to launch "a new website that will be best of breed in 6-7 months." Tapie needed the help of "key staff" at Pocket Kings in order to launch his own poker room, and he offered to hire these "key" staff members at the same salaries and benefits as what they were earning at Pocket Kings. Tapie demanded that he hear back from these key staff members nearly immediately, as timing was "critical if this is to work." Nobody has said anything about a new poker room being launched by Tapie, so it's likely that he didn't receive the support of the key staff members that he was looking to hire. Given everything that has transpired over the past week or two, it's probably safe to assume that somebody told these staff members that they might want to stick around as Pokerstars may soon be closing on a deal to acquire the company. "We will write a new poker software platform based on your knowledge and relaunch using a new brand, with an offer to former FTP ROW players that will allow them to recover their lost balances if they come to our new site, just as we had planned in our agreement with DOJ." It remains to be seen whether or not Laurent Tapie will eventually find his way into the online poker world. Source: DiamondFlushPoker.com - New Plans for Tapie and Online Poker?